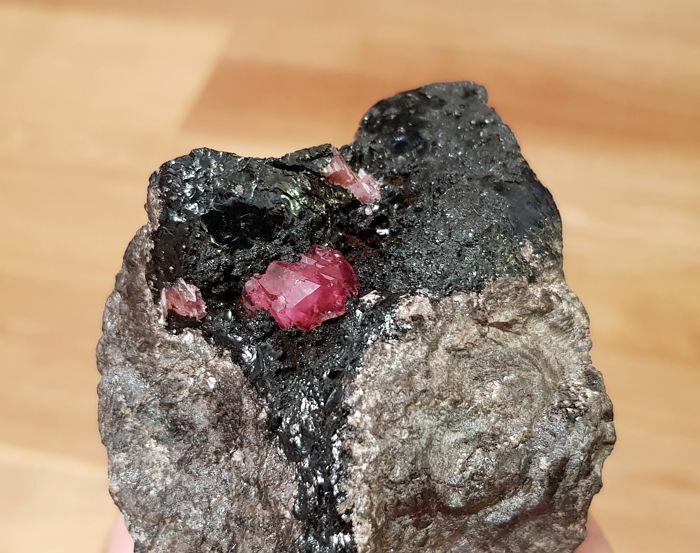 Beautiful specimen of rhodochrosite on matrix from Uchucchacua, Perù. 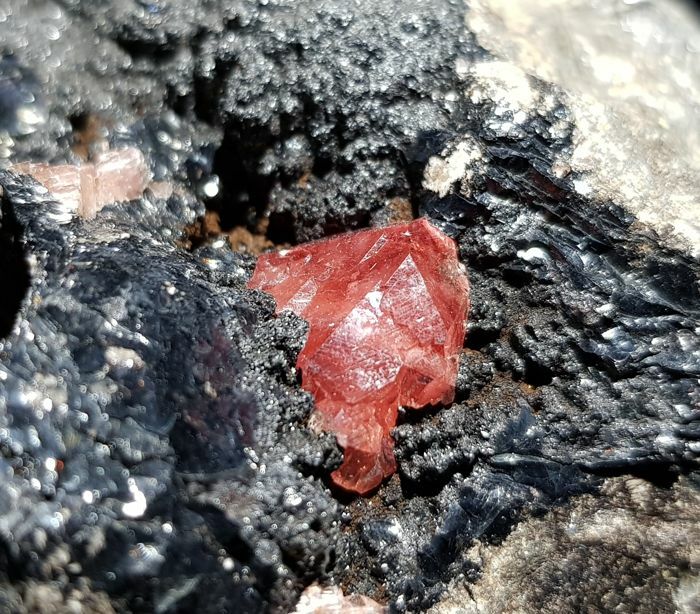 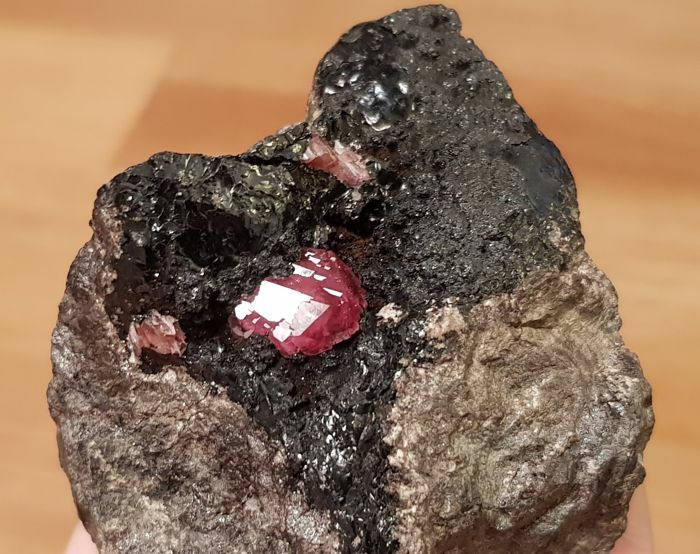 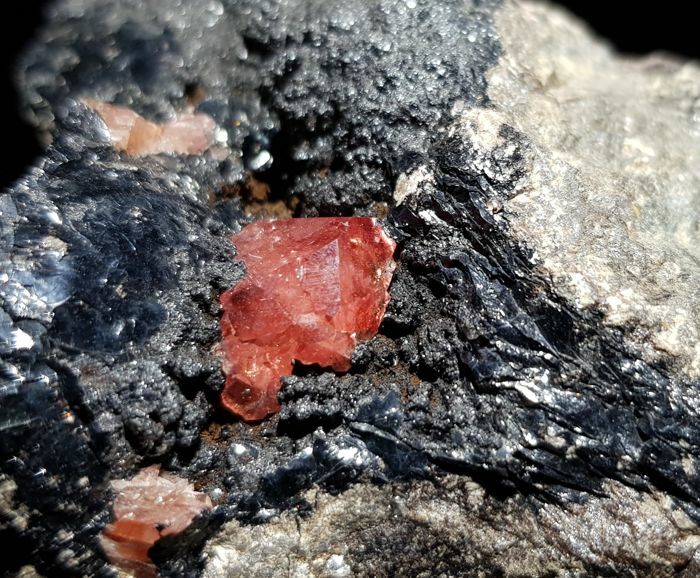 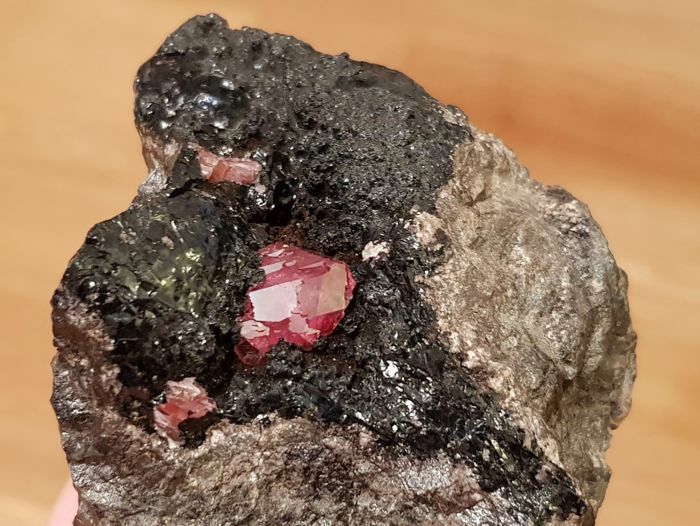 A dark matrix of assorted manganese minerals hosting a translucent strawberry-colored Rhodochrosite crystal. 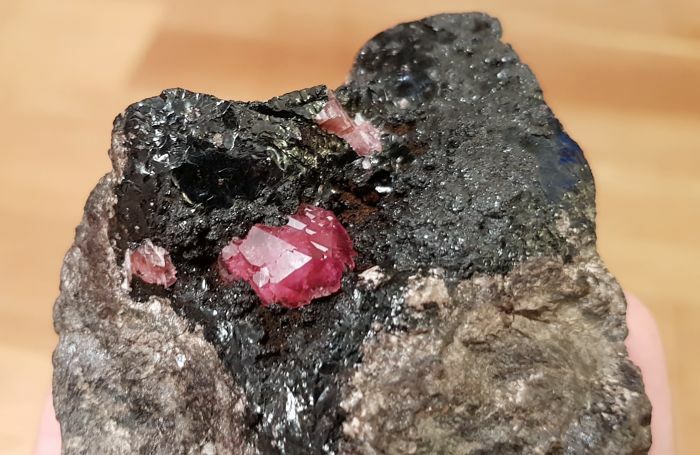 DImensions: 6,5 x 5,5 x 5,3 cm, max crystal size 1,3 cm.